Welcome to The Swindome, proudly supported by McDonalds Swindon at Swindon Supermarine F.C, Swindon’s first all purpose indoor football facility. A state of the art air-dome which covers three 3G artificial football pitches which can also be combined to create one large pitch. 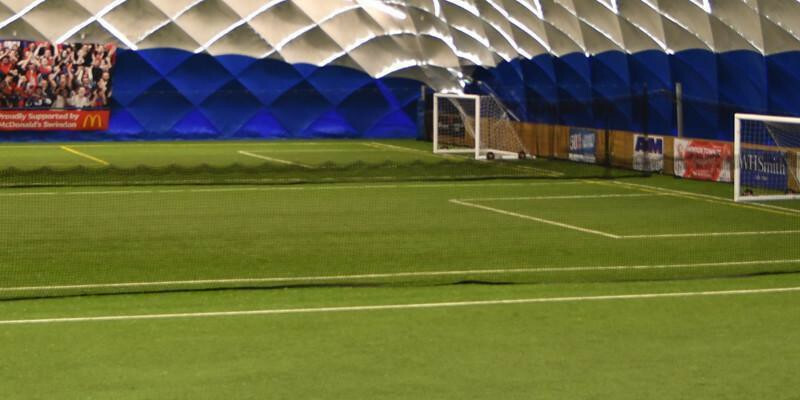 We claim that Swindome has one of the best artificial surfaces available for football hire in the UK. The playing surface itself is the most modern up to date surface known. We have also installed a 12mm thick rubber shock pad underneath to give the user a comfortable and unique experience. Here at The Swindome we also have the Pro-Zone, an in house gym facility with treatment rooms, pitch side viewing areas and changing room facilities available. You have to come and see it to believe it. Why not come down and see us. The Swindome is less than 10 minutes drive from Swindon town centre.